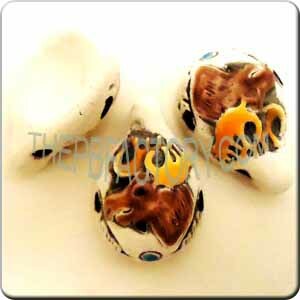 Small ceramic disc bead with Skull printing, Assorted Color pack. 8 mm in diameter. Vertical hole of 2 mm aprox. 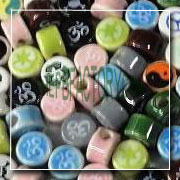 Sold 25 units per package: 5 colors combinations x 5 units each. 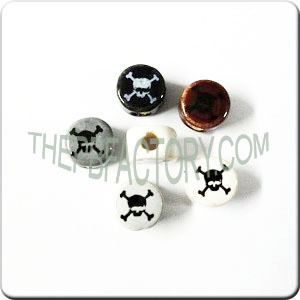 The five colors combinations are: White print over black bead, Black print over white bead, Black print over dark grey bead, Black print over light grey bead & Black print over brown bead.